One of my favorite parts of making hornado de chancho is using the leftovers to make delicious hornado sandwiches. Regardless of if you made a large roasted pork leg or smaller roasted pork shoulder or a pork loin, and especially if you made the whole roasted pig, you will likely have some leftovers. 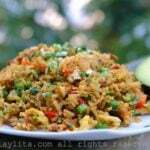 In fact, I encourage you to make sure there are some leftovers. 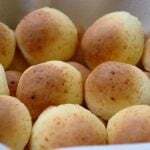 In Ecuador, there are places that specialize in making these amazing sanduches de hornado and most of the places that sell hornado also sell the sandwiches. 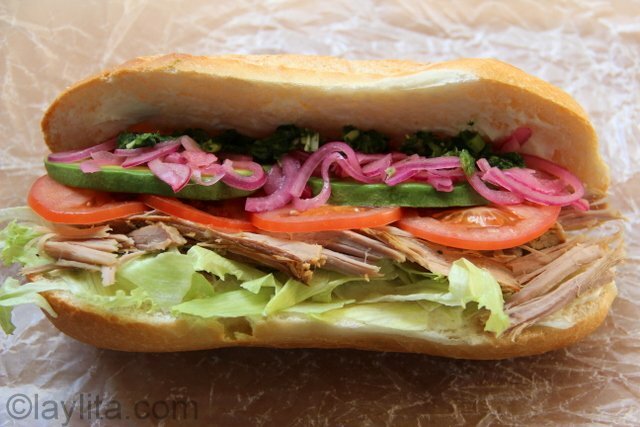 Sanduche de chancho hornado is an Ecuadorian roasted pork sandwich that has lettuce, pickled red onions, tomato slices, avocado and your choice of condiments. Bread, you can use sub type sandwich bread, baguette, round buns, etc. Your choice of condiments: mayo, mustard, etc. Spread the mayonnaise and/or mustard on the bread slices. Layer in the following order: lettuce, roasted pork, tomato slices, avocado slices, pickled red onions, and aji criollo. Enjoy the best pork sandwich ever! 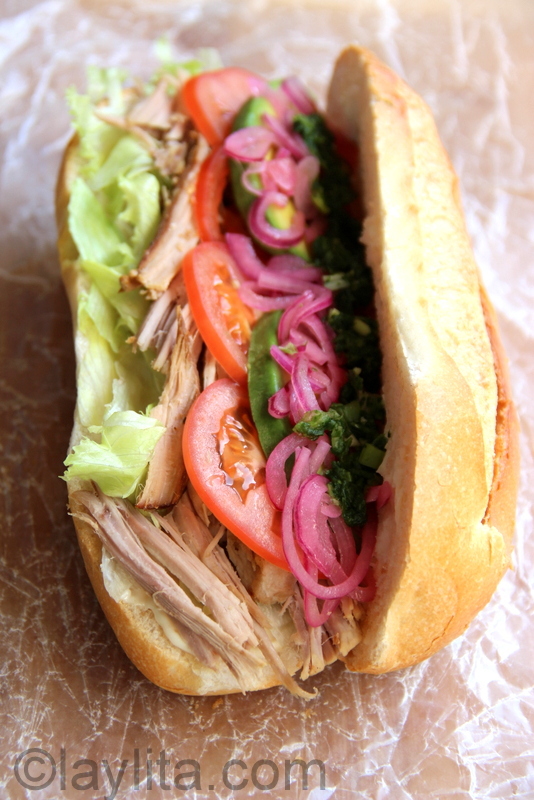 Most roasted pork sandwiches will have cebollas encurtidas or lime pickled red onions, lettuce and tomato slices – some also add a bit of the crunchy roasted pork skin to the sandwich. I like to add avocado slices and aji criollo, a spicy cilantro hot sauce, to my sandwiches. You can also mix the aji criollo with the mayonnaise for a spicy cilantro mayo sauce. The most common types of bread for hornado sandwiches are sub type sandwich rolls and round buns – similar to hamburger buns. I also like to make them using small baguettes, but really even sliced sandwich bread will work great to make a hornado sandwich. I am trying to catch up to commenting. After Sandy things have been a little tough and busy. I thank God just had discomforts but others lost everything. I think this sandwich is so comforting. I usually do the same when I make our version “pernil”. Norma – Thank you, I always appreciate your comments. Sandy was a devastating blow for your side of the coast, my heart goes out to all who were impacted, glad to hear that you are recovering. I am loving your recipes. I am of mexican descent and my husband is Ecuadorian and he is loving the dishes I am learning to cook from your website. I showed him this recipe and he is very excited for me to make it for him this weekend, do you have a recipe to make the cebolla encurtida?